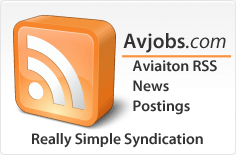 Avjobs News Feeds: What they are and how to use them. What are feeds? I see "RSS", "XML", and "Atom" out there, but I don't know how I might use these links when I find them. Feeds are a way for websites to distribute their content well beyond just visitors using browsers. Feeds permit subscription to regular updates, delivered automatically via a web portal, news reader, or in some cases good old email. Feeds also make it possible for site content to be packaged into "widgets," "gadgets," mobile devices, and other bite-sized technologies that make it possible to display blogs, podcasts, and major news/jobs/announcements/whatever headlines just about anywhere.